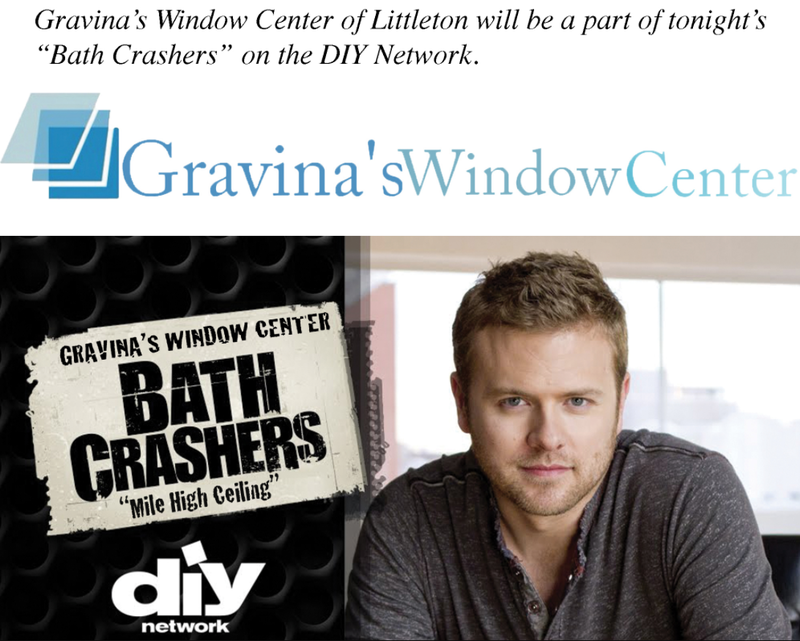 DENVER, CO, October 03, 2014 /24-7PressRelease/ — Gravina’s Window Center of Littleton has worked with the popular home improvement show Bath Crashers on a large bathroom remodel that included Infinity from Marvin Replacement Windows. The DIY Network was on a mission to crash and trash a Denver, Colorado bathroom. Similar to the popular House Crashers and Yard Crashers series, crasher Matt Muenster ambushes homeowners while they’re home improvement shopping. When he identifies the ultimate bathroom challenge, he follows the lucky homeowner home and totally overhauls a bathroom in need of repair. “Mile High Ceiling” – This bathroom is too big, ugly and tacky for these homeowners. To tackle their bathroom nightmare, they call upon Bath Crashers to create a modern masterpiece for the space. They gut it down to the studs and re-build the room with function and style. The walk-in shower is now big enough for two with seven fixtures and music. The freestanding tub is art and sits in front of an ethanol-burning fireplace. The materials are the perfect combination of rustic meets modern with three-dimensional tiled walls and dark hardwood on the floor that are given new light with several floor-to-ceiling windows. “Mile High Makeover” – Making this space a real retreat starts with trashing the tub that takes up half the room. In its place is a large, unique, steam shower featuring pebbles on the floor, sleek glass tiles on the back wall, and multi-colored blue octagonal tiles on the front wall to produce a rain drop effect. The entire shower space is accessed from glass doors on each side. The shower floor pebbles flow outside the wet area to form a faux moat with LED lighting, then segues into planks of hand-scraped eucalyptus wood flooring for the remainder of the room. The shower is flanked on each side by storage cabinets with a special make-up mirror and hidden bench seat for her. Across from the storage cabinets sit his and hers furniture-style vanities with curved drawers and granite tops with built-in sinks. Clear glass pendants are suspend above each. The ceiling is layered with planks of reclaimed white-washed wood veneer, and a large window is set to provide a beautiful vista of the Rocky Mountains. Gravina’s Window Center of Littleton has been in business in the Denver Metro area for over 40 years. Gravina’s has Marvin Certified installers as well. As far as the windows supplied for the episode, Gravina’s is the Top Dealer of Infinity Fiberglass Windows by Marvin. Marvin is a family owned corporation and has been around for over 100 years. Marvin and Gravina’s make a powerful combo when it came to energy efficient windows. Using Gravina’s for the Bath Crashers’ episodes in Denver, Colorado was a no brainer. If you haven’t seen the episodes check your local listings and check out Bath Crashers, on the DIY Network. You may see some high altitude remodeling.